Whether you’re looking for a one-of-a-kind engagement ring for that special someone, a beautiful gift for a loved one, or something shiny and new for yourself, Londonderry has great options in fine jewelry. Bring in unwanted gold and diamonds to sell, re-size that ring in your jewelry box, or fix that broken clasp at a jeweler you can trust! 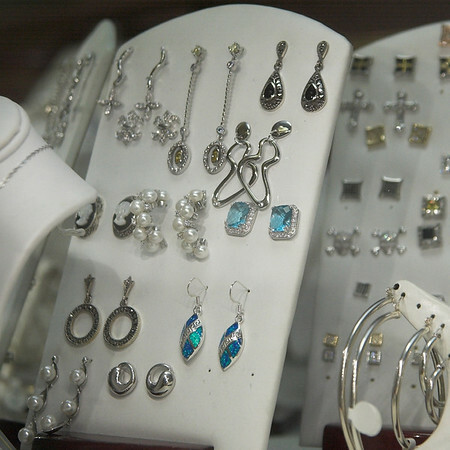 Stop by one of these jewelry stores today! For the last 20 years, Saad Ajouz has been working with fine jewelry. After moving to Derry eight years ago and owning a kiosk in a Massachusetts mall, Ajouz seized the opportunity to purchase the Londonderry Gold and Diamond Traders at Crossroads Plaza and become part of the local community.